Melbourne Rebels boss Rod Macqueen will step down as head coach at the end of the season with current assistant Damien Hill set to take charge of the side. Hill, who has previously coached at Sydney University, Suntory and the Brumbies, will take on the day-to-day running of the Super Rugby newcomers on a two-year deal while Macqueen, who has agreed to extend his contract until the end of 2013, will remain with the fledgling franchise as director of coaching. In making the announcement, Rebels' chairman, Harold Mitchell, said he was thrilled to retain the services of Macqueen. "We are delighted that Rod has accepted our invitation to join the Board, and that he has also agreed to continue his important work with the players and coaches as Director of Coaching. The Rebels and Rod Macqueen are synonymous with each other and our sincere hope is that Rod is not only with us for the next few years, but for many more to come. "The succession plan put in place when Rod Macqueen agreed to lead the Rebels almost two years ago was always about setting up the club for the long term. Rod has been unrelenting in his commitment to the foundation phase of our club. He has led our organisation with enormous passion, on and off the field, and his influence and leadership is now indelibly part of what we are forever," Mitchell said. And Macqueen, whose side have registered just three victories in their inaugural campaign, said that he has full confidence in Hill to lead the club into its next phase. 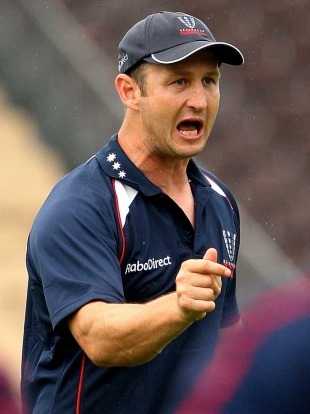 "When selecting the coaching staff we always had succession planning in place. Damien is very respected by peers and players alike, and he strongly reflects the culture that we are endeavouring to build at the Rebels," said Macqueen. "The Rebels have an exciting vision for their business and for rugby in Victoria and beyond. I believe in what the club stands for and I am determined to do what I can to ensure that these formative years lay a foundation for a truly great club and business. We have the most important ingredient, quality people, now we must realise our full potential. Working closely with Harold Mitchell, the Board and management I know that we can realise something special." Hill, who steered Sydney University to three Premiership titles, said he was excited to be taking over the reins for the 2012 Super Rugby season. "I am grateful for the confidence that the Board of the Rebels has shown in confirming our succession plan for coaching. This is the next step for me and I am fortunate to have the ongoing support of Rod. "What excites me the most about this opportunity is the chance to build on the hard work that has been done up until this point. The foundations for success have clearly been laid, but we need to continue this moving forward. We certainly feel at home here in Victoria and we are all committed to achieving success. The Melbourne fans are amongst the most passionate I have seen throughout my time in rugby and we will continue to represent them with a great sense of pride," Hill added. Mitchell has also fully endorsed Hill's appointment. "We welcome Damien Hill to his new role as Head Coach and look forward to him leading us into an exciting era for rugby in Melbourne. His record of success in coaching demonstrates that he is ready to take this step into the toughest provincial rugby competition in the world. Rod believed that when he recruited Damien and that's good enough for me," Mitchell said.